I bought some soba noodles the other week, so it’s about time we used them. So we’re doing a Japanese style stir fry this week. The salmon we’ll marinade in a teriyaki sauce, then bake for 10 minutes at 200C fan to avoid burning the marinade if we try to fry them. Then we’ll stir fry various veg and serve it all with the soba noodles in a sauce that… is the leftover marinade! I think this might be our best Stir Fryday. 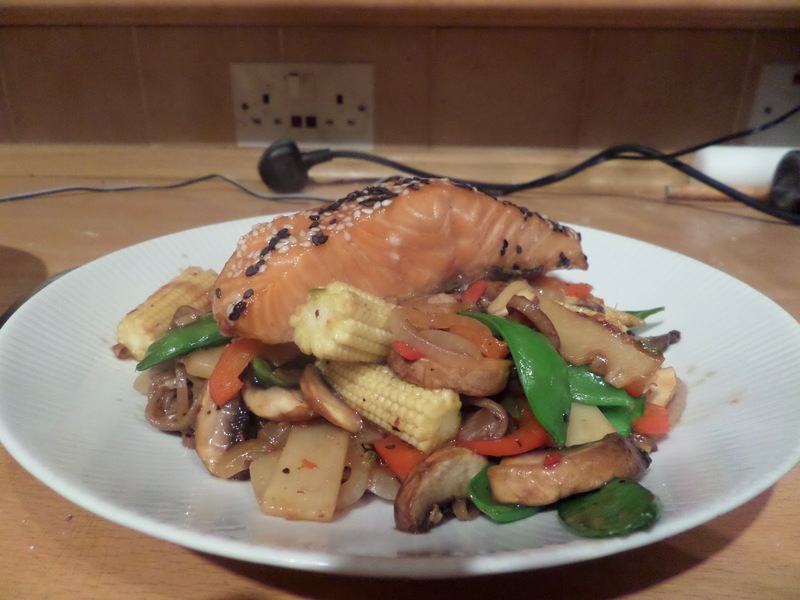 The salmon, while slightly overdone by our standards (so probably perfect according to the hoi polloi :P ) tasted great with the teriyaki sauce and crispy veg. The soba noodles, unlike regular noodles, actually had a taste! We’ll be using soba noodles again.